← #AdventBotany 2018, Day 11: What’s bacon doing in Advent Botany? Today’s advent botany blog will focus on a popular seasonal ornamental, Amaryllis, with its vibrant colouration ranging from pink, to purple and occasionally red. Etymologically, the name Amaryllis (Αμαρυλλίς) is derived from ancient Greek verb ἀμαρύσσω which broadly translates as “I sparkle”. 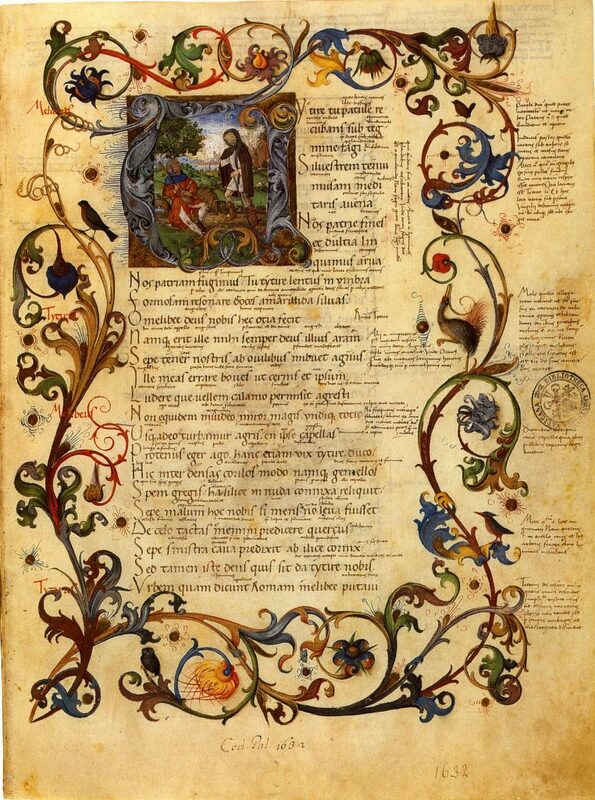 As we have seen in several past blogs, there are many connections between botany and mythology as it seems the ancient Greeks had a fondness for plants. We re-direct our interested reader to our past entries for the almond tree, and olives for examples. Once upon a time there was a beautiful woman called Amaryllis – beauty often being a prerequisite in mythological adventures. And to add to this, there was also a handsome man that managed to catch the eye of beautiful Amaryllis. And she was not alone in her admiration of his pretty face, it seems that most of the young ladies in the village were madly in love with him. Unfortunately for Amaryllis and all the other ladies in town, that particular man was too keen a botanist to notice. So to win his heart he set out a competition (another firm favourite of mythological matchmaking – A competition – it’s a little bit like “The bachelor- Ancient Greece edition”). Towards this he asked them all to bring a beautiful flower, and the one who would bring him the most beautiful, and unknown to him, flower will win his heart. Since Amaryllis decided it would be a good idea to just cut an unknown flower, we have some indication that she is not to be trusted. And with good reason. As with many members in the Amaryllidaceae, there are some highly toxic compounds produced, especially in the bulbs. Every now and again we read tragic stories of people who poisoned themselves by mistaking onions with, for example, daffodil bulbs. Therefore, reader beware, as spectacular as Amaryllis is, it is not to be trusted as an addition to your salad. The genus today called Amaryllis L. is named after our beautiful but careless heroine, and it is not in any way related to the flower that grew on her path. 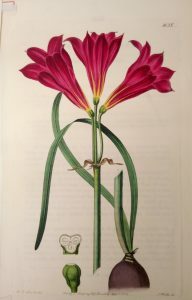 Linnaeus included species from South Africa and the Americas in his genus Amaryllis L. but the American species were later separated to the genus Hippeastrum Herb. Neither would have been known in ancient Greece. It’s more likely the blood red flower was Anemone coronaria L, another Linnean plant entirely! Eirini is an Erasmus placement student from Greece doing an internship in the Herbarium of Manchester museum with Ms Rachel Webster.